It has all requisite power and authority to conduct its business, to execute and deliver, and to perform all of its obligations under the Agreement. do not contravene or constitute a violation of the intellectual property or other intangible rights of any third party. There are no actions, suits or proceedings pending or, to its knowledge, threatened against it in any court or by or before any Competent Authority, or any arbitrator, in which there is a reasonable possibility of an adverse decision which could materially and adversely affect its ability to perform its obligations under this Agreement. any loss, damage (including consequential loss or damage), claim penalty, fine or charge suffered by or imposed on NSSA and / or SMSA directly or indirectly in consequence of any breach by CLIENT of its obligations pursuant to this Agreement. any decisions of NSSA under the termination clause, any force majeure occurrence including acts of God; war, civil commotion, blockade or insurrection; fire (including bush fire); flood or wash away; storm or tempest; smoke; bomb threats or other threats of violence or damage to person or property; earthquake; shortage of water; epidemic; explosion; serious breakage or accident to facility or equipment; an act or restraint of any governmental or semi-governmental or other public or statutory authority or any other cause not reasonably within the control of NSSA and / or SMSA, which may affect in whole or in part the hiring and/or the obligations and/or liabilities of either party to this Agreement. any loss or damage suffered by any person or persons arising out of the exercise by NSSA and / or SMSA of any right or discretion under this Agreement. this Agreement shall be deemed to have been cancelled and CLIENT shall have no claim of any nature against NSSA or SMSA due to such cancellation. NSSA gives no warranty that the Authorised Areas, or any part of the Stadium, shall be adequate for and/or fit for the Hiring Event and CLIENT agrees that it will satisfy itself as to such matters. 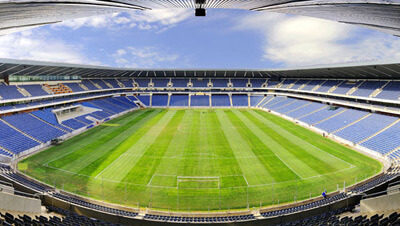 NSSA shall not be liable to CLIENT for any loss or damage howsoever caused arising wholly or partially from the Authorised Areas, or any part of the Stadium, not being adequate and/or fit for the Hiring Event. CLIENT warrants that in the planning and presentation of the Hiring Event, including but not limited to the selection of the Stadium as a venue fit for or adequate for the Hiring Event, it has not and will not make any decisions solely reliant upon any professional advice or representation from NSSA and SMSA, its employees or agents.CLIENT shall satisfy itself in relation to all matters regarding the presentation of the Hiring Event.Further, NSSA and SMSA shall not be liable to CLIENT for any loss or damage howsoever caused arising wholly or partially from the reliance by CLIENT upon any such professional advice or representation. CLIENT acknowledges that where any consent or approval is granted by NSSA and / or SMSA, or any inspection performed by NSSA and / or SMSA hereunder, the giving of such consent or approval or the making of such inspection shall in no respect make NSSA or SMSA liable to CLIENT for any loss or damage suffered (including consequential loss or damage) by CLIENT if CLIENT shall act in pursuance thereof nor shall the granting of any such consent or approval or the making of any such inspection release CLIENT from any of its obligations hereunder. CLIENT acknowledges that in dealing with NSSA, SMSA or any direction, employee or agent of NSSA or SMSA prior to the entering into of this Agreement or during the course of this Agreement CLIENT is dealing with a company acting through its directors, employees or agents. CLIENT agrees to waive its rights with respect to any course of action available to it against any director, employee or agent of NSSA and SMSA in respect of any statement, representation, act or omission of such director, employee or agent whether or not such statement, representation, act or omission was authorised by NSSA or SMSA. CLIENT shall not be relieved from any liability, obligation or duty to NSSA or SMSA hereunder or otherwise by reason only of the fact that such liability, obligation or duty arose wholly or partly as a result of the acts or omissions of any employee of NSSA or SMSA if at such time the employee was acting or performing work on behalf of, for the benefit of or under the direction or control of CLIENT. 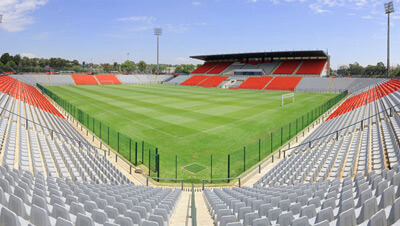 NSSA will make all reasonable efforts to make available for CLIENT’s use, such facilities, equipment and/or services of the Stadium as are required by CLIENT, and as agreed to between the Parties under this Agreement, PROVIDED ALWAYS that NSSA makes no warranty and accepts no responsibility for the adequacy or suitability of such facilities, equipment and/or services for the particular Hiring Event, and that CLIENT shall rely solely upon his own estimation of such adequacy and suitability. 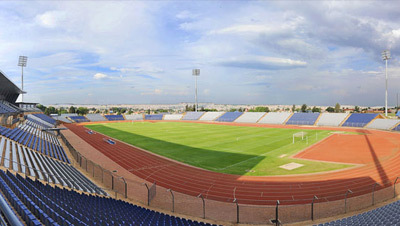 NSSA will allow CLIENT, its employees, agents, invitees and licensees access to all parts of the Stadium other than the Authorised Areas that are necessarily used in connection with the Hiring Event at any time during the continuance of the authority PROVIDED ALWAYS that access shall not include those parts of the Stadium used by NSSA‘s administration, computer control rooms, box office, board room, private lounges, service tunnels, machinery lofts and the roof to the Stadium or any catering or merchandise stores or any other storage areas or areas of the Stadium whatsoever other than the Authorised Areas and its immediate and associated service and facilities areas unless otherwise agreed by NSSA. CLIENT undertakes to, at its own cost obtain, maintain and keep current all government and local authority permits, licences, consents and approvals which are required to host the Hiring Event and related activities and for the use and / or operation of any equipment, machinery, structure and any other thing whatsoever used in connection with the Hiring Event, and / or for the construction of any works or structures in the Authorised Areas and / or any part of the Stadium, including the curtilage surrounding the Stadium. CLIENT shall not cede or assign, mortgage or pledge any of its rights and/or obligations under this Agreement without the consent of NSSA, which consent may be given or withheld in NSSA’s absolute discretion. 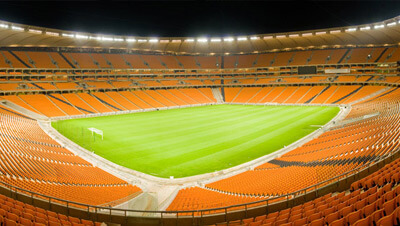 CLIENT shall not sub-let the Authorised Areas and / or any part of the Stadium and shall not allow anyone else to occupy the Authorised Areas and / or any part of the Stadium on any condition whatsoever for any reason whatsoever provided that CLIENT’s normal activities allowed in terms of this Agreement shall not be deemed to constitute sub-letting or allowing anyone to occupy the Authorised Areas and / or any part of the Stadium. The parties agree that the contents of this agreement shall be kept secret, shall be treated as confidential and shall not be disclosed to or be discussed with any other person except as provided for in the confidentiality clause below. The parties further agree that any information obtained by them as a result of negotiating this agreement and any details of or information concerning any negotiations, correspondence, discussions, telephone conversations or communications of whatsoever nature between the parties preceding or superseding the conclusion of this agreement or regarding the subject matter of this agreement, or matter related thereto are confidential and shall not be disclosed to or be discussed with any person except as provided for in clause 6.3 below. Is part of public domain. Clean Stadia can be offered around major international and exceptional events, however the cost of covering of the branding and/or replacement of such will be for the account of the CLIENT.